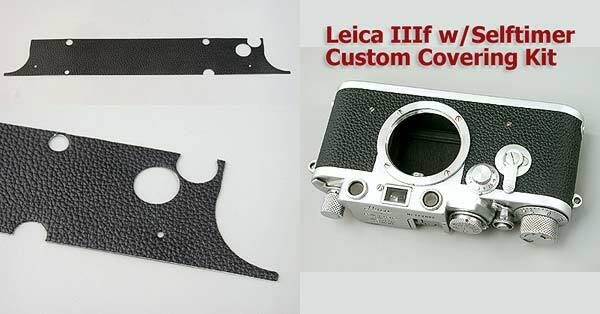 This is Custom covering kit for Leica IIIIf with selftimer type. 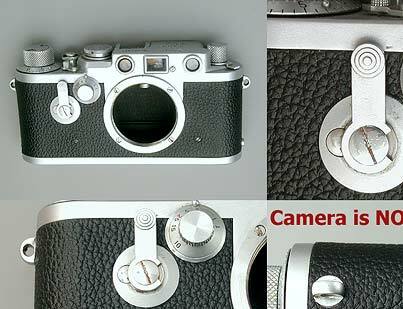 (NOT genuine parts supplied by Leitz). 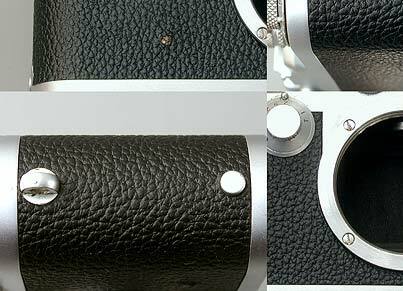 Above sample photo is #4008 Leatherette. Synthetic Leather. Self adhesive, you do not need glue. 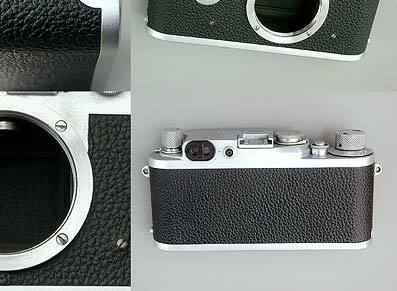 IIIf w/ selftimer's original vulcanite is rather close to M3. I can not provide the same surface pattern one. #4040 Screwmount Leica emboss : Click here to sell a sample photo. #4040 emboss is very similar to IIIc IIIf, but does not similar to IIIf w/ selftimer's original vulcanite. 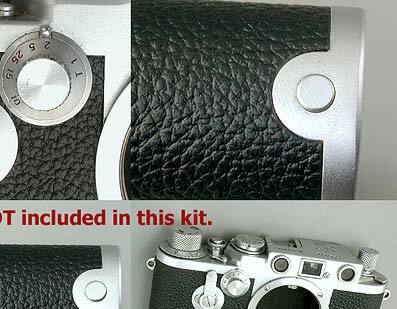 No Leica camera is included in this kit. Please click here for installation page or find the link below.